Finding a great gift for someone is much easier when you know about his or her passion. If you have noticed that your relative or friend cannot survive a day without a dozen of cups of delicious tea, and that means that you met a true tea lover. Consider this fact when choosing a present and you’ll never go wrong with it. 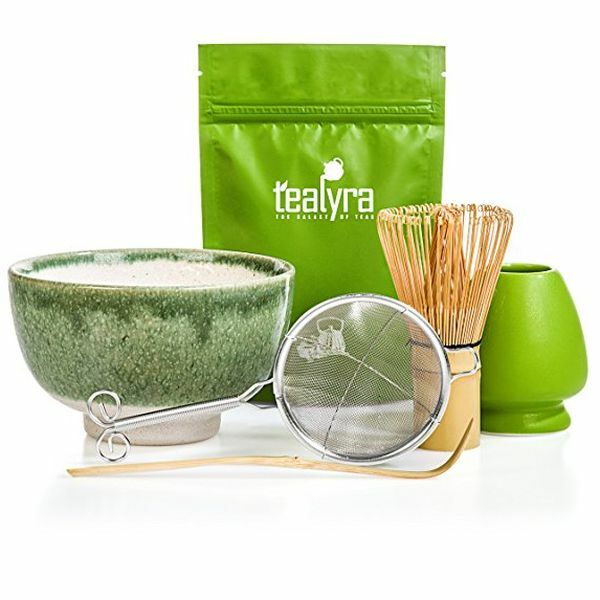 We, in turn, tried to make the search even easier and selected the goods every tea fan will absolutely love. 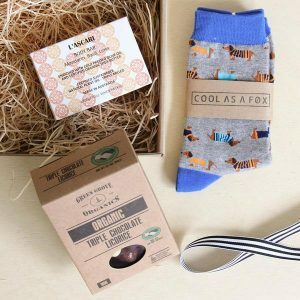 Are you looking for a great present for a tea lover who doesn’t spend most of his time lying on sofa and never stops moving in every way? Then take a glance at these tea infuser bottles – most of them combine the quality, beautiful design, functionality, and simplicity of use. 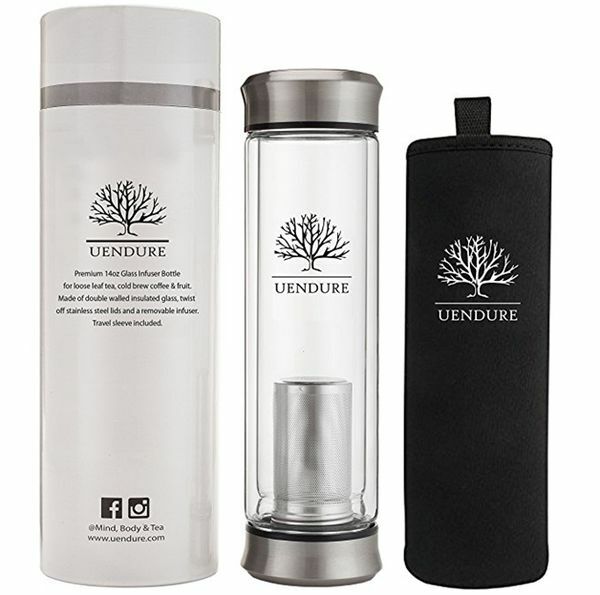 It is not just a regular symbolic gift we all give each other from time to time – it is an opportunity for the receiver to enjoy his favorite drink on the go and a nice reminder that you never forget about the things that are important to him or her! Here we have something extraordinary for those who have already tried all types of tea and have already got all possible and impossible tea supplies for birthdays, Xmas, and Valentine’s Day. Japanese know the value of great drink and know for sure that making and drinking it is not just something regular – it is a ceremony that must be done correctly. Provide your friend, relative or colleague with the opportunity to do everything right and try something new by getting him or her one of these wonderful sets! 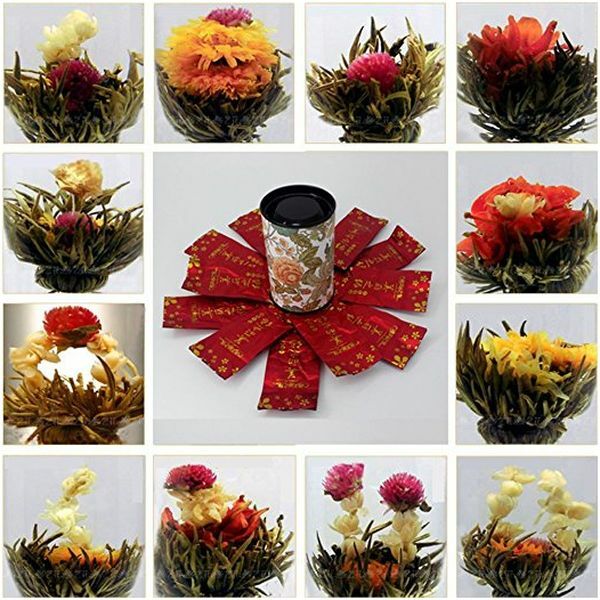 All loyal tea fans can be divided into two groups: those who enjoy their favorite drink alone in a special atmosphere and those who are happy to share this ceremony with the most important people in their lives. 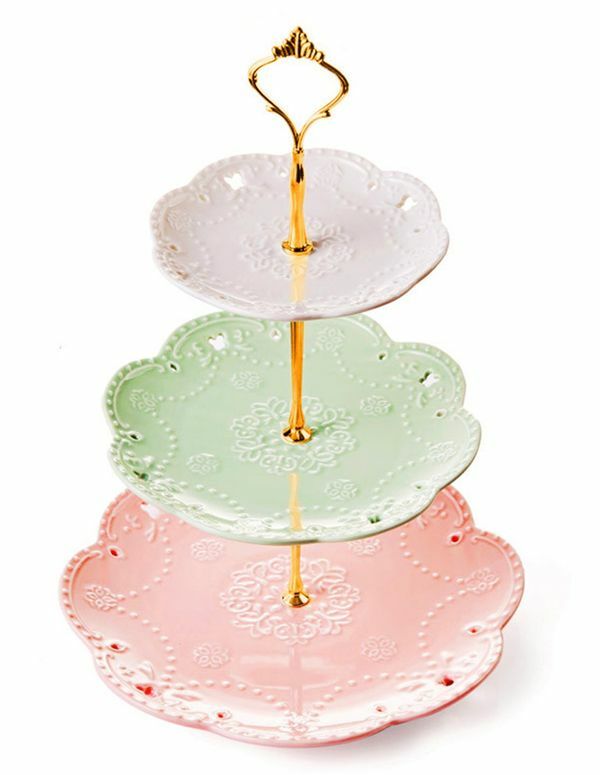 If you are looking for something special for a representative of the second group, turn your attention to the 3-tier cake stands designed for perfect serving for cakes, fruits, and other delicious sweets. Beautiful jewelry piece is a win-win gift for any woman and for any occasion. However, there is something even better than just a ring or a bracelet. You can be sure that she will be thrilled with a gorgeous necklace that will not only highlight her beauty but also tell the world about her little passion. Choose a modern or in contrast vintage model depending on her taste and enjoy the reaction! 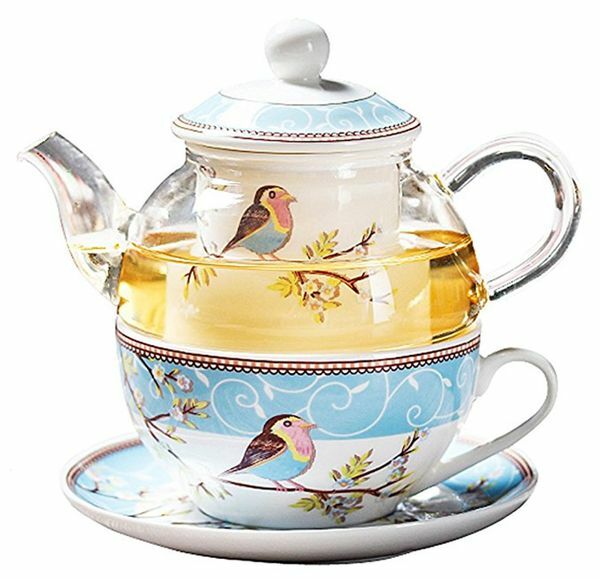 There is something exceptional in porcelain tea sets. They are far away from modern trends; however, they never go out of style. People that cannot imagine their life without tea know the value or high-quality cups and saucers not only because of their beauty but also due to the unique material that makes tea taste even better. 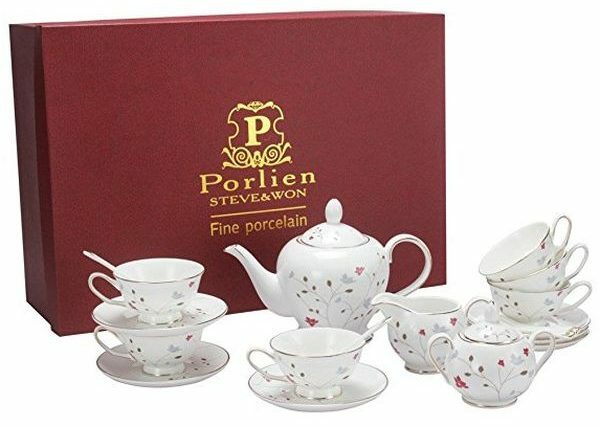 Porcelain tea sets are the attribute of certain social status and are always appreciated. We can easily find whiskey or rum sets that look really manly and get them to these drinks lovers. But what about tea? Is it possible to find a gift that won’t be covered with those adorable pink flowers? Fortunately, the answer is yes. Wood tea box organizers make the nice gifts for him. There are no undesired details – only style and functionality. Isn’t it a perfect choice? What these incredible balls do is magic! If you don’t believe us, just watch the video on Youtube – we bet that you’ll be impressed. The principle is quite simple: the tea leaves are wrapped around each other, so once they fall into the water, the real flower opens up. 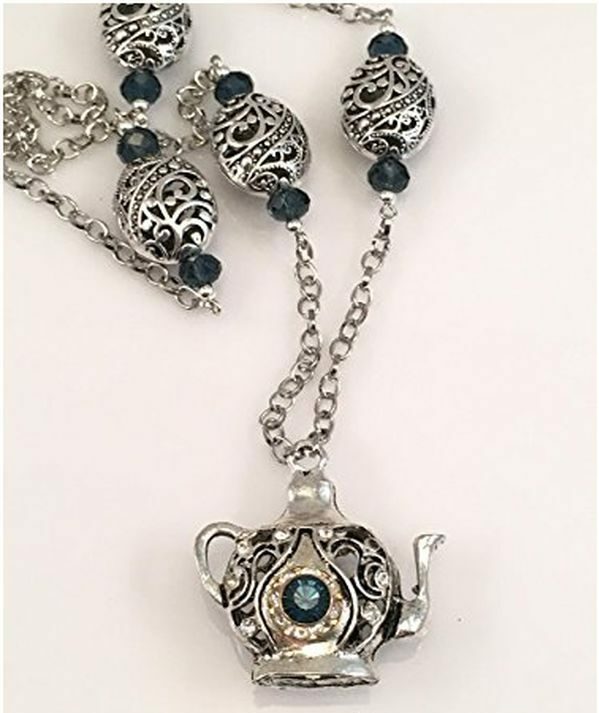 It is the awesome gift for a tea lover who has everything, including the glass teapot that is necessary to see this little miracle. 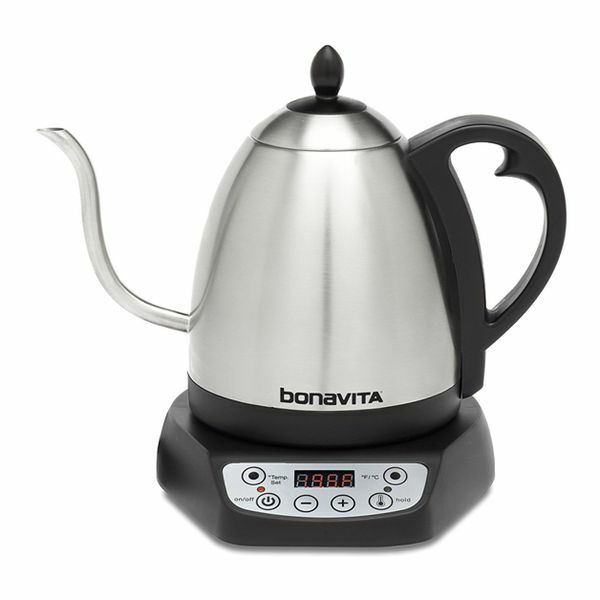 Of course, your dear tea lover has a kettle; however, there’s no limit to perfection, though new, top-quality kettles with variable temperature control are really close to it. Why are they so special? First of all, the heating is incredibly quick. Secondly, such kettles can hold the necessary temperature for an hour. 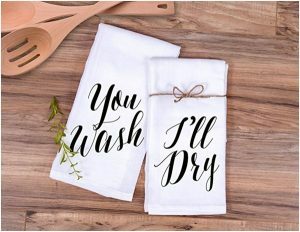 Thirdly, the wide range of cool designs is also appreciated by those who care about how the stuff in their kitchen looks. Finally, the most important fact is that they make the universal, practical, and always welcomed gifts. 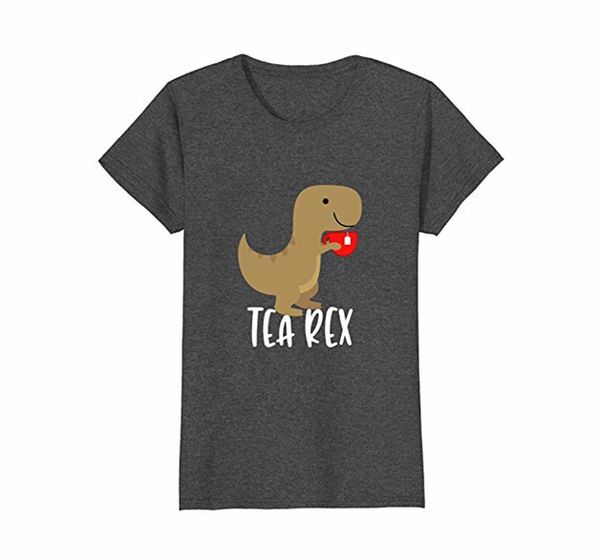 These creative and cute T-shirts stand among all the gifts for tea fans. Though this pun is quite famous, it still makes people smile. Moreover, your relative or friend used to get tea sets and kitchen supplies for different holidays, so maybe it’s time for surprises? The sellers offer us to choose from a lot of colors, prints, and fabrics, so you’ll be able to find a piece of clothes the receiver will like the most. Everyone likes a good joke, and this year you have a chance to make not only useful but also a funny gift! What tea lover doesn’t have a tea mug? However, there is no person who wouldn’t want to have another cool cup, especially if it’s really creative. The choice of the mugs presented in this group is more than wide. For instance, you can choose a cute one (this is the best option for people who don’t go crazy about dark jokes) or a hilarious one (this option is perfect for those who knows the value of crazy puns), it’s up to you. Just don’t forget about consider the tastes of the receiver, and your gift will be a hit! As we have already said, tea lovers can be divided into two groups, and some of them don’t want to share this unbelievable pleasure with others. Who said that it’s wrong? We all have our passions; moreover, such little ceremonies for one are often more than regular tea drinking. Show your dear relative or friend that you understand how much these little meditations mean, and get him or her a nice teapot and cup for one set. 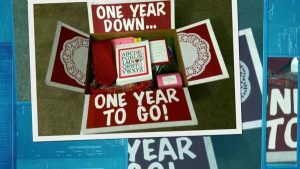 Such a thoughtful gift from you will surely be appreciated! 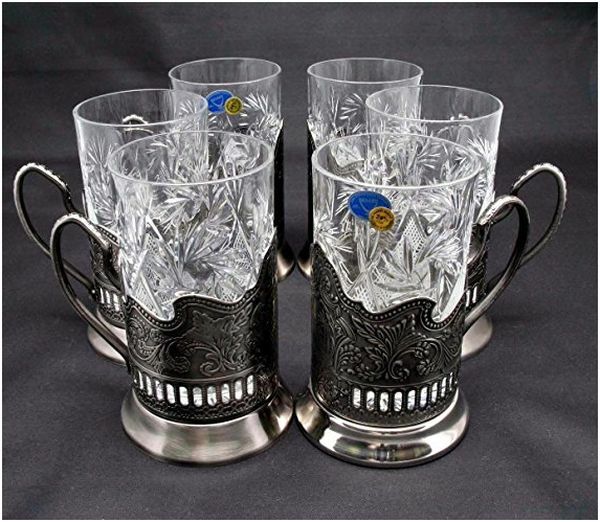 There is something special in these authentic Russian tea glasses. They differ a lot from the glasses other nations use, but who says that something extraordinary cannot be functional? They were originally designed for railroads as the spill-resistant glasses but soon became popular not only their motherland but also in many countries of the world. Why do we suggest you to choose them for your girlfriend or wife? Women do know the value of luxury and beauty as well as Russians, so the sophisticated design and unique idea of this gift will be surely appreciated. Chinese are proud for their tea ceremonies for a reason. One look at any of these gorgeous sets is enough to understand the meaning of the word ‘culture’. 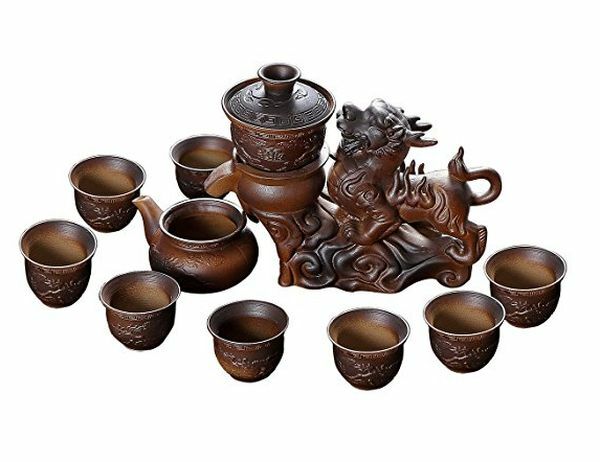 These pieces are not just the items you can use to have a cup of tea before or after work – they are the authentic masterpieces that must be used properly in a special atmosphere. 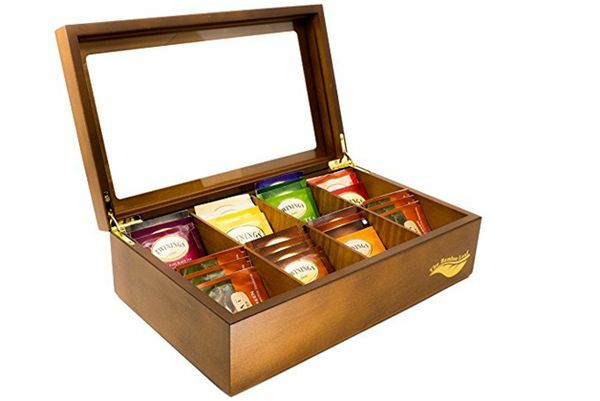 If you want to make the great high-end gift for a person who considers tea one of the biggest pleasures in life, you will not find a better option than this one.